It’s crunch time, humans! We’re down to just 3 days remaining in our Teespring campaign, and we still need about 30 more shirts to be ordered in order for us to reach our threshold. Remember, if we don’t get to 100 orders, NO ONE gets a shirt. Here’s a special incentive to get you to order now. Anyone who buys a t-shirt TODAY (8/21) will also receive a Cats of Disneyland holiday card this year. In case you need reminding how awesome of an opportunity that is, here is a look at last year’s card. 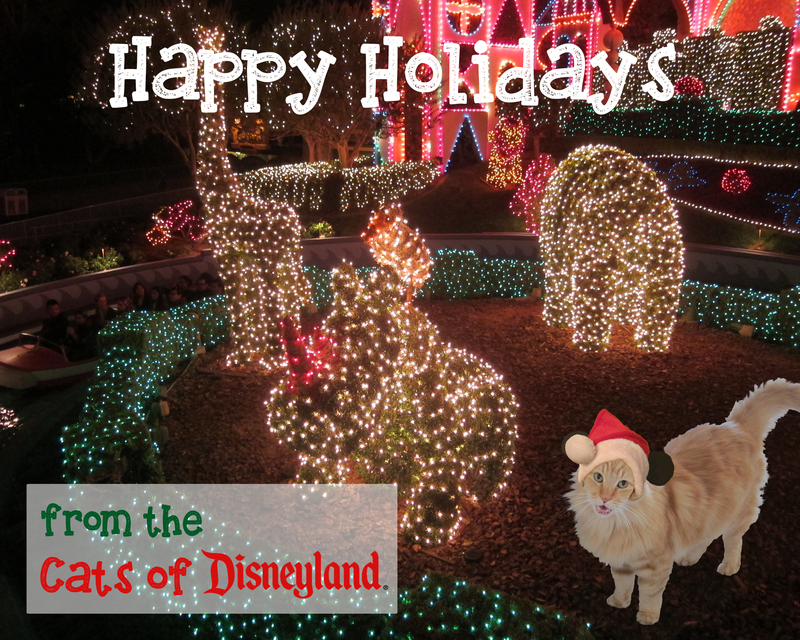 Simply email me a screen cap of your order confirmation to catsofdisneyland@gmail.com and I’ll add you to my list. You don’t want to miss out on this shirt design or this special offer. Visit teespring.com/dlcats today!